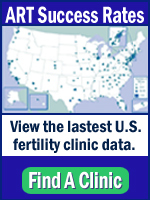 Fertility Lab Insider - Lessons learned from over fifteen years of working inside fertility labs. » Blog Archive » Are IVF patients research guinea pigs? Are IVF patients research guinea pigs? Just the other day, the United Kingdom’s Daily Mail published the article, Expert warns of IVF timebomb, ” Lord Winston, head of fertility services at Hammersmith Hospital and a professor at Imperial College, London, was speaking at the prestigious British Association Festival of Science in Salford, the year’s biggest gathering of UK scientists. If the relatively regulated UK IVF medical delivery system upsets Lord WInston, he would positively stroke out over the unregulated US reproductive market. Winston’s own research suggesting that tumour suppressor genes may be affected by IVF freezing techniques and could lead to an increased cancer risk for babies. At least one study found a four-fold greater incidence of Wilm’s Tumor in IVF conceived children. Studies on sequential culture in animals have shown that some gene activation profiles (gene imprinting) are different in embryos exposed to culture conditions for extended time periods compared to animal embryos flushed from the reproductive tract. Drugs used to stimulate a woman’s ovaries to produce eggs could cause chromosomal abnormalities in offspring. Some health effects that are correlated with IVF conception may have an indirect cause. For instance, the smaller birth weight of IVF babies on average may by itself make a baby more prone to some conditions or problems. Smaller babies appear to be more likely to have disease conditions as adults such as vascular disease, diabetes, hypertension and osteoporosis. Birth defects (genital and urological abnormalities, kidney problems or deformities of the stomach and intestine) are more common in IVF conceived children than others and ICSI conceived kids may have more issues than IVF conceived kids. Some studies suggest that ICSI conceived kids may have 3 times the risk of birth defects than other kids. First, the article did not provide the actual probability of any of these outcomes but in every case that I am aware of, the absolute probabilities were less than 5% of having a bad outcome, meaning 95% of IVF children are normal based on evaluation of these kids at birth and in some instances, as preschoolers. Unfortunately, there is precious little follow-up data on IVF conceived children in the US after childhood for two reasons. First, the US doesn’t have a federal initiative to track IVF outcomes past birth and few private studies are done. We look to other countries with population based health studies to provide data on long term outcomes. Second, even if there were adequate follow-up in the US, we still wouldn’t have data on adulthood and middle-age because IVF is still too young. The first IVF baby was born in 1978, so is only in her early thirties in 2012, so concerns about increased cancer risk in middle age are based on the observed effects of genetic imprinting problems from animal studies. What is not clear is if these problems can arise from culture conditions. Every time that these issues of poor health outcomes in IVF conceived children are raised, the counter argument raised by the ART community is that the study was poorly done or alternatively, infertility patients have underlying genetic issues that make them more likely to have kids with problems and ART lets infertility patients have kids. A third argument is that these poor outcomes are more obvious in ART kids because from conception they are more closely scrutinized than other kids. I have offered up these explanations myself numerous times and they are reasonable explanations- but have not proven to be correct or incorrect. As new studies come out with more possible adverse outcomes, these answers are becoming less and less satisfying. How can we truly know if we are doing something in the lab that is injurious to the embryos conceived in the lab? Even if only 1 out of 100 IVF embryos that produce a child is permanently and adversely affected by our protocols, should we the people require that new IVF protocols, like new pharmaceuticals, are submitted to extensive testing in animals and then clinical research trials before they become routine clinical offerings? This idea of mandating rigorous scientific testing before offering protocols to patients has typically fallen into a buzz saw of angry doctors yelling “infringement of medical practice rights” or even sometimes “infringement of small business owner’s rights” and angry, desperate patients who are running out of time and want their treatment NOW! And of course, federal funding of IVF research has gone down the same sinkhole that swallowed up federal funding of embryonic stem cell research. You have the big government haters who don’t want to spend a penny on anything, let alone medical research. The “Not with my taxes, you don’t: Just adopt! !” crowd. If we can agree that new IVF procedures should be more rigorously tested before widespread implementation–which believe me is not a widely accepted notion– change will only come to the reproductive marketplace if patients demand it. But I don’t think that will happen. Why? Because we accept single digit probabilities of risk because it is human nature to assume lightening will strike someone else and in the meantime, most IVF patients benefit by having children that are healthy, at least based on our limited data sets. Research prior to implementation introduces delays in provision of clinical services. Using the pharmaceutical industry as an example, there is much grumbling about the slow development of life-saving drugs. What is taking so long? With reproductive clocks ticking, there is little patience for any additional delays. Case in point, I got an angry comment from a patient who took exception to my advice to tread cautiously if you are invited to “try something new”, some clinic’s “secret sauce” that is guaranteed to make you pregnant that no one else offers. In a previous post, I expressed my concern about the use of “chemical activation” of eggs to induce fertilization because there are only case studies (anecdotal reports) not rigorous clinical trials to support its safety. The patient insisted that she had been informed by the clinic that “They have been using the procedure for several years where I am going and they have had no abnormal children produced. It is all properly regulated.” Sadly, there is no regulation which requires that IVF protocols be safe before offered to patients. It is in the hand of each physician to make that determination. This patient had been reassured by the “researchers and consultants that had been personally involved in it’s development”. Can you say conflict of interest? She went on to argue that the reason the calcium ionophore method ” isn’t widely available is because the condition is so rare and donor sperm is often insisted upon by this point.” No, it’s because most physicians are not widely convinced of it’s safety and efficacy. See above re: no regulation. Approved protocols have a date stamp for when the IRB approved them and studies must be reviewed on at least an annual basis and earlier if unexpected adverse outcomes are observed. The identity of the IRB board (academic or private) should also be disclosed to you. Although human subjects participating in IRB-approved clinical trials are given a lot of information, the IRB protocol approval process is far from perfect. It should, but doesn’t always, clearly disclose conflicts of interest between the investigators, the IRB and patients. The term “reasonably foreseeable risks” is also open to interpretation. Which risks are reasonably foreseeable? Some IRB boards have been accused of being weak or just “pay to play” rubber stamp committees. Still, if you are participating in an IRB-approved clinical trial, someone other than the clinic selling you the procedure has evaluated the experimental protocol you are submitting yourself to. Ideally, you will have a better understanding of the potential risks of participating in unproven treatments so that you can make better decisions about your treatment plan in keeping with your own taste for personal risk.